Private student loans can be a great way to get that last portion of college covered when you have exhausted all your other options such as scholarships, grants, and federal student loans. Highlighted below are some of the top and most reputable private student loan lenders with options for both cosigner and non-cosigner applicants. Please note that each lender highlighted below may have a different set of terms, rates, and eligibility requirements. These requirements may vary unlike what you may have seen with a typical federal loan. Often times applicants who apply with a cosigner do have a better opportunity of getting approved for a loan. Find out more on our private student loan lenders below. Funds can be used to pay for qualified education expenses, including Tuition, Room and Board, Books, Computer(s), and more. 2% origination fee, but there are no other application fees or prepayment penalties of any kind. This origination fee is subject to state-specific regulations. Meet Ascent Independent. This is one of two very awesome products that Ascent student loans has to offer. Ascent sets themselves apart from other lenders in many ways. Offer students discounts for items such as auto-pay, no application or origination fees, flexible rates for both variable as well as fixed loans and they even look beyond your credit score when determining if you are a good candidate to take out a loan with. 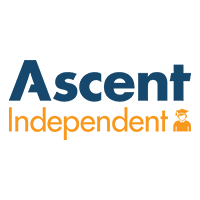 The Ascent Independent loan is unique as it offers the option for students to take out a loan WITHOUT the need or want of a cosigner. This is a game changer almost all other companies in the space will require a student loan to have a cosigner for some period of time before that person is able to be released from the loan altogether. With all of these great incentives, there is a clear reason why Ascent is one our top recommended lenders. Click on the logo or visit the site below. Meet Ascent Tuition. This is the second installment of private student loans that is offered by Ascent. Along with some of the options you have seen above, Ascent does offer the more traditional private student loan which DOES require a cosigner. When selecting Ascent Tuition, you unlock some options that are different for the Ascent Independent loan. These incentives include cosigner release after 24 months of on time payments, a opportunity for a lower interest rate, and the ability to check eligibility in under 1 minute. Upon dropping the cosigner after the 24 month period, you are then able to begin to or continue building your credit as you continue to pay down your student loan. 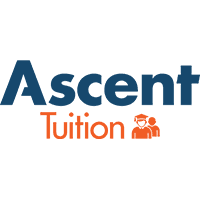 Ascent Tuition offers 5, 12, and 15 year private student loan terms with the minimum lending amount coming in at just $1,000.00. If you are looking for a private student loan and need some help from a cosigner, give Ascent Tuition a look. Click on the logo or visit Ascent below. Meet LendKey. 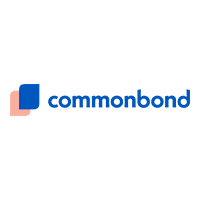 LendKey takes a different approach to lending. They saw the lending process as something super exciting, but the entire idea of filling out paperwork was something that was long overdue for a refresh. Along with this refresh, they also wanted to disrupt how a conventional loan was created within the lender. For this LendKey decided to go out and form partnerships with our 13,000 banks and credit unions across the country. 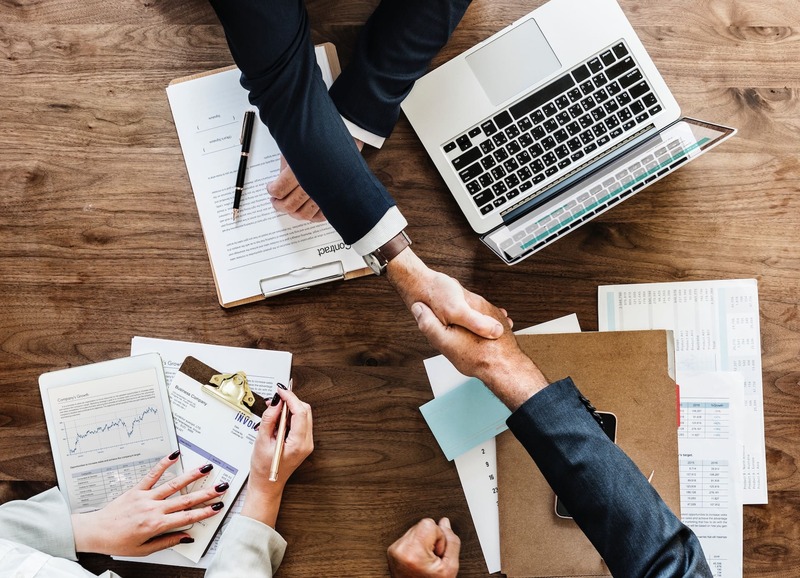 With this strategy, LendKey is able to offer their lenders and qualified participants competitive rates that you likely will not find with other lenders. The reason behind this is because of the competitive nature to try and drive the best rates to their lenders through the lending community that they have created. To find out more information on LendKey, click on the image or button below. Meet CommonBond. CommonBond is one of the newer players in the space of student loan refinancing, but just because they are newer does not mean that they are not making a impact. They strive to provide innovate tech innovations and initiatives to help borrowers have a great experience through the entire process of refinancing or consolidating student loans. They are one of the true leaders in the space and are shaking up the industry with competitive rates and top notch customer support. With as little as 5 minutes they can tell you whether or not you have been approved for a new lower interest rate, better terms, or even a lower monthly payment. To find out more information on CommonBond, click on the image or button below. Highlighted below are some of the top questions people have regarding private student loans. ‣ Private student loans are loans that are made by private institutions or banks that work outside of what the government may offer as a subsidiary. These loans tend to be offered by big banks, credit unions, and other financial institutions. They come in many different sizes, some you probably have heard of, and others who may be quite small. How much can I take out with a private student loan? ‣ With private student loans, you have the opportunity to take out generally as little as $1000 on the low-end of the spectrum and on the high-end well north of $200,000. It really comes down to how much you need for school. In most cases, when you qualify the sky is really the limit. Be sure to check with your lender to see lender amounts, terms, and conditions. What can I use my private student loan to pay for? ‣ Private student loans allow for you to pay for many things within the education wheelhouse. Some of the common things that you can purchase with a private student loan include; Tuition, College Fees, Textbooks, Housing expenses, Transportation, Computers, Miscellaneous supplies and much more. However, one thing to keep in mind is that you do have to repay ALL of your student loan debt. Be smart with what you choose to pay for with your private student loan and you should come out just fine. Does everyone happen to get approved for a private student loan? ‣ Unfortunately, this is not the case. Not everyone will qualify for a private student loan. As with credit cards or mortgages, many financial factors are taken in order to see the likeliness of you paying off your debt. If you have applied for a private loan but got denied, don’t stress, you may want to look into using a co-signer and try applying again. This may help your chances quite a bit depending on the c0-signers credit history and other financial factors. Are there any advantages for taking out private student loans? ‣ In some cases, private loans are the only route some students will have in order to be able togo to college. This is not super common but is one of the advantages for those students who would have no other options to attend school if it were not for private student loans. How about disadvantages when it comes to private student loans? ‣ As with any positive, there is bound to be some negative counterparts. With private student loans, one of the biggest downsides is that they tend to be very expensive. This is generally due to the fact that most of the private student loans are at the variable-rate for interest. Another huge factor when it comes to taking out private student loans is that unless you have a solid income and established credit history you will more than likely need a co-signer. This may not be a huge problem for some people, but this can be a big factor when looking at your options to pay for school. Take out a private student loan to cover the costs of the upcoming semester.